As Apple's top global marketer, Philip Schiller is the envy of the marketing industry - but not everything is plain sailing for the man dubbed Steve Jobs' "mini-me", writes Shona Ghosh. On the surface of it, Philip - or Phil - Schiller has the most desirable marketing job there is going. His employer, Apple, underwent one of the greatest turnarounds in history. The company is often ranked as the most valuable in the world. And if that wasn't enough, the company can be credited with revolutionising consumer technology. When it comes to Apple, the truth has generally outdone the hype. 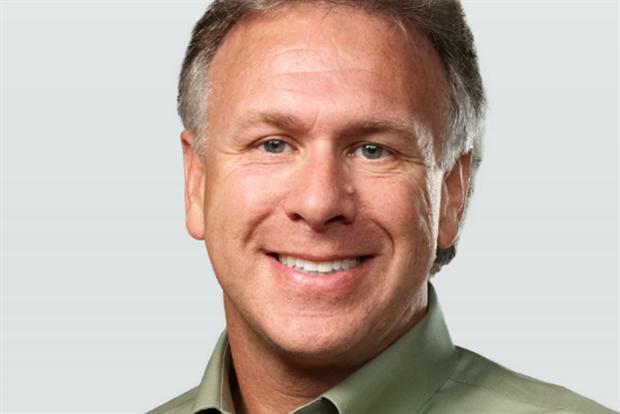 And as its senior vice-president of marketing, Phil Schiller has been responsible for publicising the company’s successes for almost 20 years. Schiller’s career at Apple started in 1987, where he was product marketing manager for six years. His career history had, up until then, focused on more technical roles in-keeping with a degree in molecular biology from Boston College. But after that first stint at Apple, he moved onto marketing roles at Firepower Systems and Macromedia before returning to Apple in 1997. Apple was close to bankruptcy when Schiller rejoined, but it was an important year. Steve Jobs would return to lead the company he co-founded, and Apple’s agency, Chiat\Day, would come up with the audacious 'Think Different' campaign - marking a revival of the brand. Chiat\Day was also behind the famous '1984' ad that had aired during that year's Super Bowl to herald the first Macintosh computer. Sparked by Jobs' intense interest in marketing Apple, plus his close friendship with creative director Lee Clow, the agency would go on to produce well-known campaigns such as the iPod silhouette spots and the comic Mac vs. PC series. With excitement around the brand and its products growing, Jobs and Schiller would craft the company culture that now defines Apple as a brand - its obsessive focus on design, its perfectionism and its secrecy. It is secrecy that perhaps defines Schiller's reign as CMO. According to former employees, Schiller would give out false details about upcoming products at internal meetings, as a way to catch out anyone leaking information to the press. That lockdown was key to Apple's wider strategy of springing new products on the public and watching the favourable reviews pour in. The strategy was so successful, Apple didn't bother paying for ads for a brief period after launching the first iPhone in 2007. "We didn't need to," said Schiller, testifying during Apple's patent battle against Samsung last year. The tactic worked time and time again across a long list of Apple products - so much so that there is now an entire industry devoted to uncovering clues to future launches. That Schiller was so effectively able to channel Jobs' dictums about brand Apple apparently earned him the nickname "Mini-Me", according to Bloomberg. An ex-employee who worked with Schiller during his first stint at the company also told us he had "lived and breathed Apple" even during his early days there. The result was that Apple eventually achieved a cooler-than-thou status emulated by almost every rival. The key, according to Forrester analyst Thomas Hussan, was that the company taught its customers to care about their devices. "Apple’s brand has evolved over time from being product-centric to becoming a lifestyle choice that projects a character beyond products’ functionality," said Husson. "Apple has a very strong brand personality that focuses on emotions, humanity, simplicity and the removal of complexity from people's lives." Schiller now faces a radically different challenge marketing Apple than he did in 1997, or even 2007. Though Apple retains its status as one of the most profitable companies in the world, analysts constantly question its future following the death of Steve Jobs. Without a visionary at its helm, many doubt whether the brand can keep up its track record of innovation. Complicating that challenge is the growing number of competitors in every product category. The iPhone and iPod Touch were groundbreaking devices when they came out, mainly for how they built on inventions that already existed. Apple came up with everything we now associate with using a touchscreen - pinching to zoom, flipping through pages - though it didn't invent touchscreens. Now every phone manufacturer has adopted those same design tricks, and is even innovating ahead of Apple. Apple came up with everything we now associate with using a touchscreen - pinching to zoom, flipping through pages - though it didn't invent touchscreens. Schiller doesn't usually acknowledge competitors, but he admitted Samsung was a problem during the company's recent patent dispute with Apple. Discussing the apparent similarities between Samsung's Galaxy smartphones and the iPhone during his testimony, Schiller said consumers had begun to "question our innovation and design skills". He said Samsung’s Galaxy phones "looked exactly like the iPhone – so much so that people might confuse [them]." Finally, there's the question of Schiller's relationship with Apple's longtime agency Chiat\Day - now TBWA\Media Arts Lab. At another point during the patent dispute, Samsung’s lawyers released emails sent by Schiller indicating tension. "I watched Samsung [sic] pre-superbowl ad that launched today," he wrote to the agency in 2012. "It’s pretty good. I can’t help but think 'these guys are feeling it' (like an athlete who can’t miss because they are in a zone) while we struggle to nail a compelling brief on iPhone." Another email exchange between Schiller and new CEO Tim Cook, again from last year, indicated that the marketing chief was thinking of firing the agency. "We are not getting what we need from them and haven't for a while," he wrote. There are signs that radical changes are afoot at Apple. Under Schiller's watch, the company is rumoured to be building out its own in-house marketing team, hiring as many as 1,000 staff. That pits Apple directly against its own agency - and the company has even tried hiring some of TBWA\Media Arts Lab's staff. It is also possible that Apple's strategy of allowing others to advertise on its behalf may need to come to an end. "Apple has a very high brand awareness, but does that with a relatively small marketing budget," explained Strategy Analytics analyst Neil Mawston. "Most manufacturers will spend around around 5% to 15% of their entire revenue on their marketing budget. Apple spends 3% to 5%." He added: "Its key success is it persuades other firms to do its marketing – Vodafone, O2, and other operators promote devices on Apple's behalf." With operators tired of paying for massive subsidies on the iPhone, and the press often having the full details of a new product months ahead of launch, the company may find it has to fork out more on marketing. That's backed up by the company's hiring spree, with the new internal agency responsible for more recent ads, such as for the iPhone 5C. Still, these challenges could give Schiller more freedom to shape Apple and even ease his route to a higher position still. He was rumoured to be a candidate for CEO after Steve Jobs' death, but was ruled out in favour of then chief operations officer Tim Cook. But Cook, despite having done much to smooth the running of the company, doesn't boast the same sway with the public. It’s Schiller who is the company’s second most-known face as Jobs’ sidekick on stage, with a goofy, likeable presentation style. 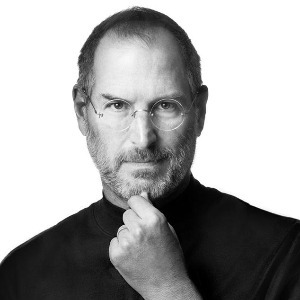 "Everybody will always make comparisons with Steve Jobs, he was so successful," said Strategy Analytics' Neil Mawston. "Cook is more practical and innovative. Schiller does a nice balance of having a fun personality with a serious side to what he does. In the long term, he is a possible CEO candidate, but there are a few others." Now aged 54, he has spent most of his professional life working alongside Steve Jobs, and seen several senior staffers move on after Jobs' death. The question is whether even Schiller, with all his clout, can overcome the usual prejudice that puts operations or financial bosses at the helm over CMOs. "If he’s seen to be a marketing person, there’s a bit of prejudice in terms of top jobs," said Mawston. In Schiller's favour is his history of past innovation at Apple. He came up with the iPod's revolving wheel interface - and is credited on the patent. He also helped drive the development of the iPad and other new products. But against is his apparent lack of technical expertise, compared to Tim Cook's background in industrial engineering. Of course, Schiller may decide to up sticks to a competitor or even retire. Now aged 54, he has spent most of his professional life working alongside Steve Jobs, and seen several senior staffers move on after Jobs' death. Though Schiller isn't giving out any hints himself, 2016 might prove to be a key year for any major decisions. In 2011, Apple awarded Schiller and other key executives 150,000 restricted stock units each, then worth around $40m. To collect the full amount, those executives will have to stay on at Apple for another five years - meaning Schiller will likely be a very rich man in 2016. But the marketing chief has his work cut out between now and then - namely trying to keep the company's reputation for innovation. With new products like the iWatch reportedly delayed until next year, Schiller could well decide to quit while he's ahead.